Sorry not too good with the image loading here is one of the kayak. Hi, I am looking for a sea kayak sail, mast and fittings. Any for sale used but good condition. Thanks for looking. Don't know what happened to this colour! The title is on the heading. Topic: Car roof top Kayak roller. Re: Car roof top Kayak roller. Hi Mike, Thanks for posting this. 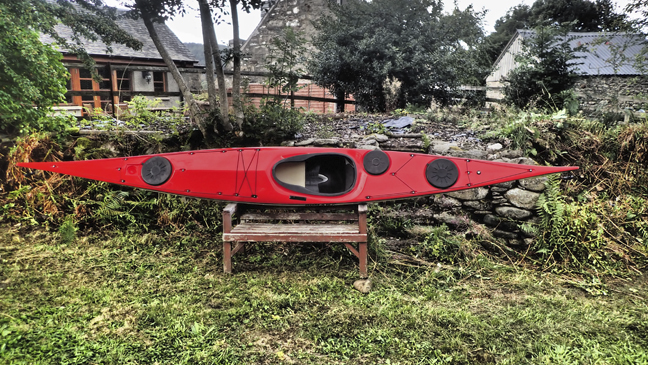 It is now on the market and going well, we have just finished a device for loading it onto J cradles so that it cannot let the kayak when on its side fall off, or if there is a side wind. Topic: is this a record? Re: is this a record? Nice one Douglas! Mark at Lomo will like these! Hi, Kayak now sold. Thanks to all for looking and replies. Hi, I see you are in Larbet presume central belt Scotland, contact Steve at Glenuig Inn, loads of demo boats all models of Tiderace this is your best option. He will sort you out without any problem. You will find them if you search Internet for Glenuig inn Arisaig. Hi, Try Steve at Glenuig Inn, Sea Kayak Arisaig, he is the Tiderace Agent you should find what you are looking for. Plus you can demo before you buy which is important. Its not too far from Inverness. MIke, I got a set of telescopic poles for the same idea in Perth. The old shop of army and outdoor supplies Fergusons use to sell them. some shops now have it for sale. Some Gamekeepers who I know use it.